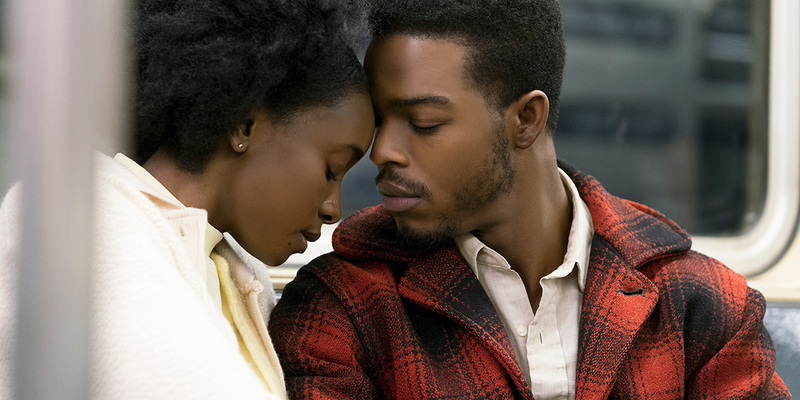 The poetic nature and often swelling lyricism of If Beale Street Could Talk are proof enough that there’s a little bit of humanity, beauty, and honest empathy carefully tucked away in – or perhaps intentionally hidden throughout – the most overlooked stories castigated to the cracks lining the sidewalks of America’s past and present and future. 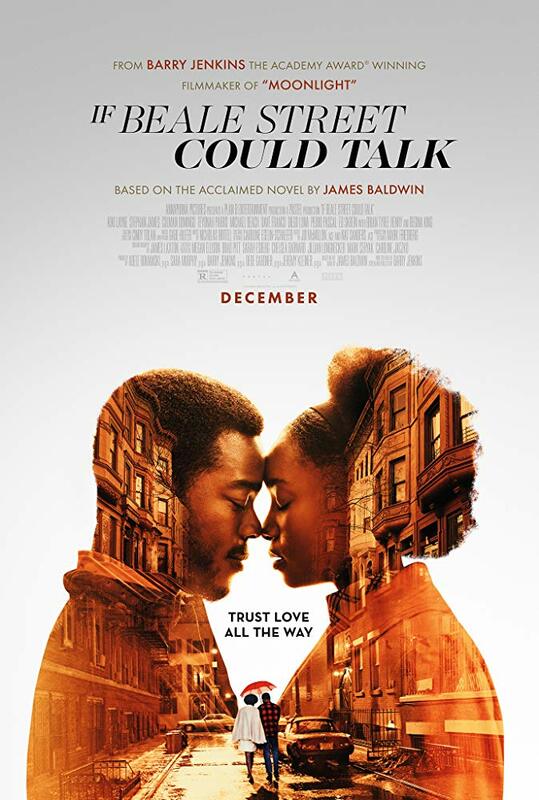 This film adaptation of James Baldwin’s often brilliant, blistering written word is a revelatory, carefully studied affirmation about common people facing common hardships through a specific racial lens, and it’s all pieced together as an important journey which bestows us with a story destined for deep feeling, for love, and for insatiably hungry, pensive eyes. Every second is convincing, true, and utterly commanding. The lovers walk hand in hand so precisely that they’re almost desperately attached and intentionally bound to one another’s person. Even when they aren’t in cadence their opposite feet hit the ground in unison, step by careful step. Alonzo “Fonny” (Stephan James) and Clementine “Tish” (Kiki Layne) effortlessly match each other beat for beat. They are the young, hopeful beating hearts at the center of this sublime adaptation, and their relationship is one first built on a childhood friendship that grows into an adult connection between the body and the soul. Their’s is a love that radiates its purity through the screen, and although it isn’t my favorite romantic drama of 2018, it very well might be the most honest. In one of the year’s very best scenes, Tish finds herself stuck between a rock and a hard place. Fonny’s been unfairly locked up, she’s pregnant with his baby, and now the onus is on her to share a frightening truth. Her family – Dad Joseph (Colman Domingo), Mom Sharon (Regina King, most certainly your rightful Best Supporting Actress Oscar winner), and Sister Ernestine (Teyonah Parris) – knows how to absorb the striking blow and feel the heart behind its punch. They’re prepared, even elated. The same can’t be said for Fonny’s family. Frank Hunt (Michael Beach) wants be as hip as the times, Mrs. Hunt (Aunjanue Ellis) blindly preaches God’s word and openly condemns with snide, broad swiping strokes of condescension. Both of their highfalutin daughters subscribe to the same mixed ideology. The sequence is lengthy and has plenty of cuts and it changes perspective throughout, but I somehow only recall it as one singular, fluid piece. This is dramaturgy of the very best kind. 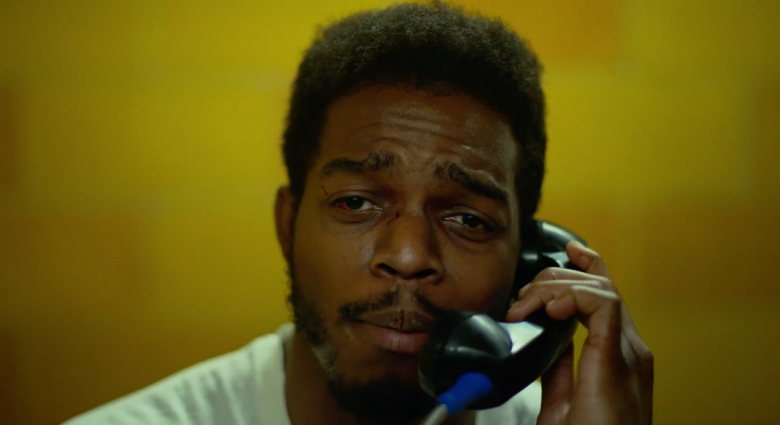 If Beale Street Could Talk is that remarkable, narratively simple and visually profound. 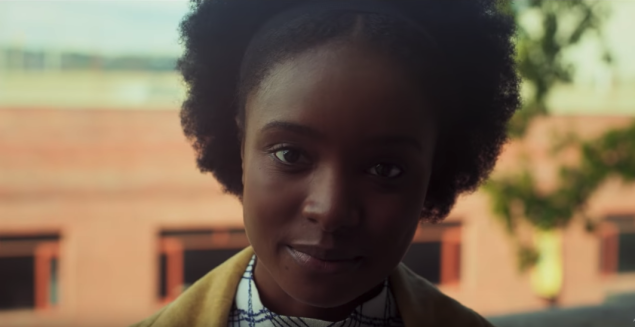 Sporadically yet deliberately narrated through the calm, determined, matter-of-fact voice of Tish, If Beale Street Could Talk tackles the conventions and the clichés dragging down inferior playbills and expands the story into a theatrical experience that’s both full-bodied and quintessentially cinematic. This is a rich film – in spirit and color and direction – that does its telling through craftsmanship and necessary creativity. So much of the picture’s palette is dressed in muted yellows and greens, in the hues gleaned by cinematographer James Laxton (alongside Caroline Eselin’s stellar costume design) that signal another day breaking after another night and those that usher in new life. Elevated by the year’s undeniable best score from Nicholas Britell, itself an origin story in musical composition and history, the main theme carefully spins around like an old ballerina’s music box propelled by longer notes, heavier brass, and more melancholy. As uplifting as it sometimes plain sad, the movie still gets us to dance along with its emotional, evocative score. It’s as important to hear this film as it is to see it. To be seen. To be heard. To experience your own story on-screen. This seems to be Barry Jenkins’ chief concern. While he’s made his name writing/directing films for and about the African-American community, underneath is a subtext in his movies that’s so immediate, so empathetic, so desperate to use cinema as a device to heal wounds and to bridge gaps in the broader sense of the communal social conscience. And Jenkins loves when his characters look directly at the camera. In a comedy this action would be called “breaking the fourth wall” and be delivered with a sly wink. Jenkins is a master of his craft though, and instead of breaking the fourth wall, he uses the technique – and the eyes of his immensely talented actors – to carefully look at us, to mist a little Windex and wipe the dividing window pane crystal clear, inviting us to inhabit the body we know to be on the opposite end of the character’s gaze. 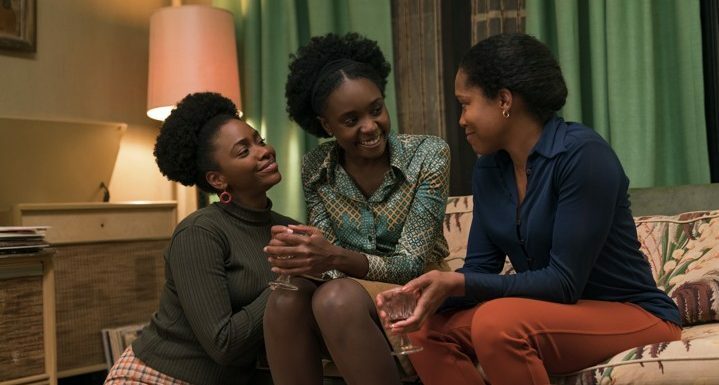 If Beale Street Could Talk asks us to allow ourselves to be seen by a stranger, and proactively pleads with us to reciprocate the feeling back. Eyes this honestly open cannot lie.